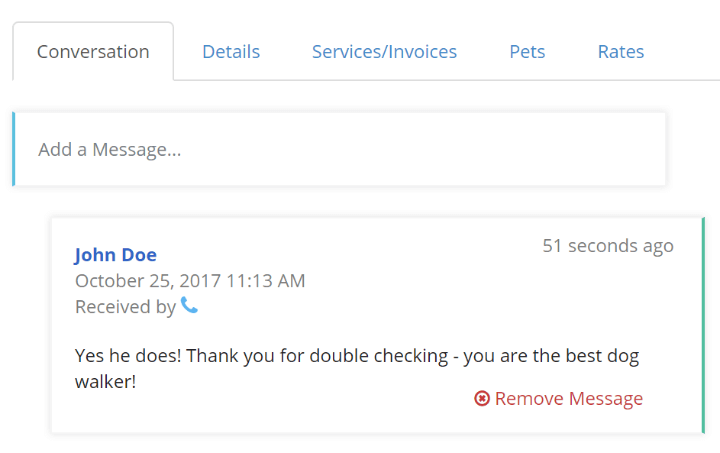 Text messaging in Time To Pet allows you to deliver messages to your clients they way they want them. All messages sent to a customer can be delivered as email and/or text message. Text messages are sent from your company texting phone number so staff phone numbers stay private. Clients can respond directly to the text and their response is automatically captured in their conversation feed. Messages sent to staff can be delivered as text messages as well! When enabling the text message feature - you are able to choose a local, texting only number for your company. This number is used when all messages are sent to customers or staff. 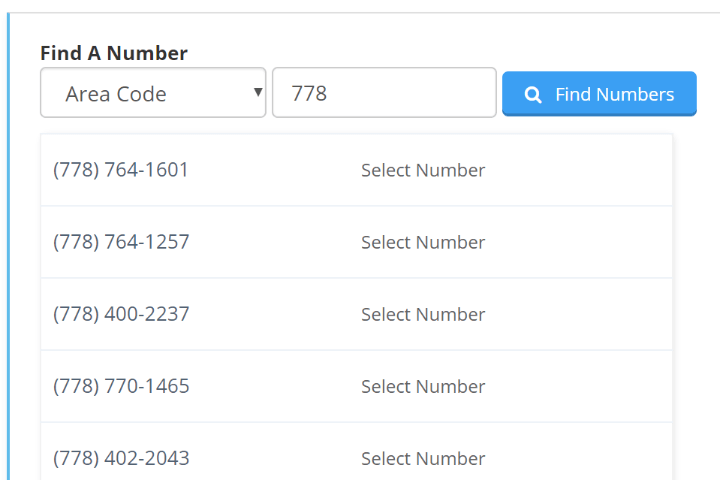 This keeps the actual phone numbers of your team members private and ensures that all messages are viewable by an admin. Do some customers want texts, some want emails and some want both? Not a problem! You can set the default communication method for each and every one of your clients! Default methods can be text only, email only or both. 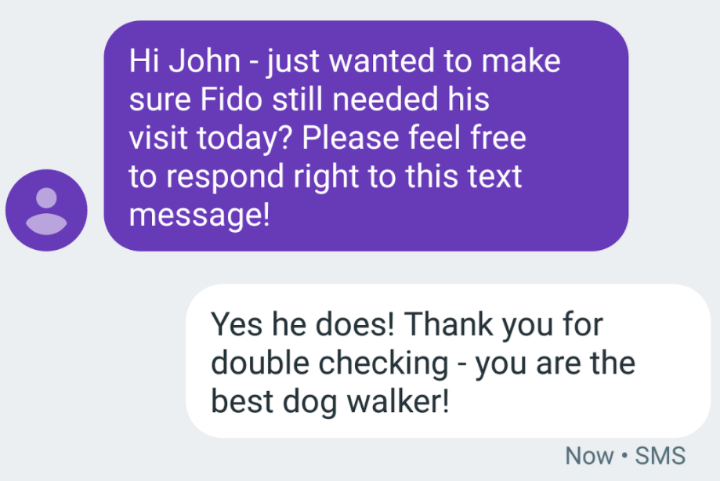 Whenever a customer sends a message to your company’s texting-only phone number, Time To Pet will automatically add the message to your client’s conversation feed. That means you will have a complete history of all messages sent to and from your clients in one place!